AdWords IF Functions allow advertisers to tailor ads by device or audience type. You can insert a specific message in your ads when a condition is met, based on who is searching and what device they are searching for. AdWords IF statement is similar to ad customizer which adapts your text ads to what someone is searching for, which device she’s using, where he’s located, but Ad Customizer needs a feed. On the other hand, AdWords IF functions work without any feed. How AdWords IF functions work? 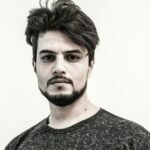 Similar to any IF statement in any programming language or even excel, IF function checks if a condition is met and returns one value if TRUE or another value if FALSE. For example, let’s say you want to offer past buyers a 15% discount when they buy from you again. Using AdWords IF functions, you can include a simple statement in your ad to show a voucher code to past buyer (TRUE) and a standard ad without the voucher to everyone else (FALSE). 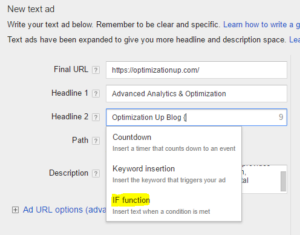 AdWords IF function works only for search text ads where it can be used anywhere (in headlines, descriptions, path 1 or path 2) except the final URL. How to use AdWords IF functions? 2- Specify the value to return if the condition is met (TRUE). 3- Specify the value to return if the condition is not met (FALSE). IF functions are supported by AdWords Editor, all you have to do is to incorporate the IF code in your ad and it will apply once conditions are met. Please make sure to respect the characters limit and keep room for both scenarios, otherwise, your ads will get disapproved. AdWords IF function is a great feature that can let one ad have many variations, showing the most relevant variation to potential customers. It also can save you much time since you don’t have to create separate ads for different variations, so start testing it out and let us know how it goes. Thank you for the above content, really helpful. One question which came from reading this was…. ^^ May need to be formatted differently. Answering your question, unfortunately, this is not possible. AdWords won’t allow saving the ad, the FALSE Value should be always a text. With this testing, how you can measure the results between variation? Where you can see the breakdown ? You can run a regular A/B test by rotating evenly between your ads, then you can segment by for example device category to check the performance of your IF functions ads vs default ads. Going off of the previous question how can you clearly determine if the default text is driving traffic or the IF Function variable within the ad? For example using it to show variant ad text if the user visited your site before and is in your remarketing audience. Unlike device there is no place in adwords I would see if the click is attributed to a remarket customer seeing my variation vs a regular search seeing the default. How could I tell if the traffic is new attributed to default text or a remarket hit attributing my variant IF function ad text? I agree, there is now way at the ad text level to segment by audiences type. So, if you want to conduct a fair A/B testing, this needs to happen at the ad group level or even the campaign level. You might also consider using “campaigns draft and experiments” to distribute the traffic between ad groups/campaigns that include and don’t include if ads. I have just one query ,if I use if function in remarketing list or device category, for say one ad will show 10% in desktop and the same ad show 15% in mobile then if user clicks on the ad and come to my website how does my website determine if the user come from mobile or desktop ?Since there is only 1 ad and one destination url and how does the appropiate offerr is applied for the customers? For an example suppose I have created one ad with if fuction which will show 10%offer in desktop and in mobile 20% .Now I created the ad with a single destination url for example abc.com now if one user come from mobile and landed my website how can my website determine that the user come from mobile and apply 20% offer to the user? If function can help us to show same ad to different user according to device and condition.But merely showing the ads do not solve the purpose.How do my website handle and recongnize it and apply appropiate offer with the above if funcionality? Please if u can clear my confusion it will be great. This can be done through your website CMS, I think you should consider a developer assist to create a rule for you based on the device. However, you can just add a voucher code within your ad for mobile users to avoid all of these technical implementations. Let me know if any clarifications. Hi There! Has anyone figured out a way to report on these when running a test – we want to run a test to see if the IF statement part of the ad is adding value, but since its one ad we cant determine how to separate.